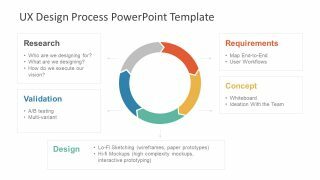 The UX Design Process PowerPoint Template is a set of slides for user experience presentations. 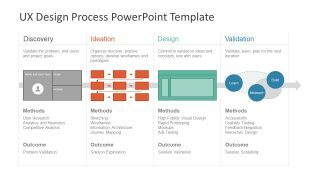 The PowerPoint contains 8 slides of visually interactive diagrams. 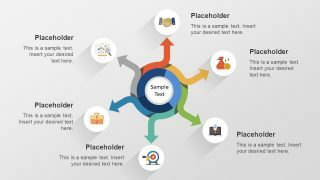 It assists in illustrating different type of UX design processes. The user experience (UX) is the level of customer satisfaction with company’s vision. In other words, the product or service is how an end user interacts with the company. 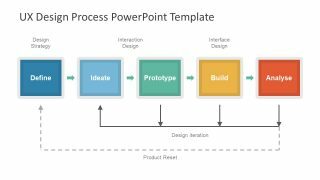 This presentation template contains pre-design models to explain the concept diagrams. 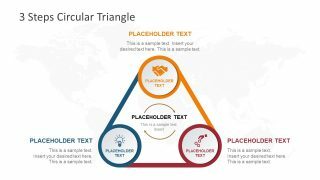 The slides contain information about every segment of the diagram aiding in both learning and implementation of models. 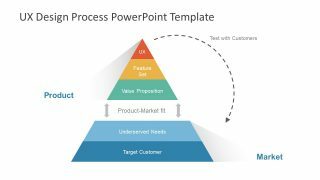 For example, the teachers and trainers can use the graphic slide design PowerPoint to explain UX process. whereas, the supervisors can use this visual to explain project process to its stakeholders. 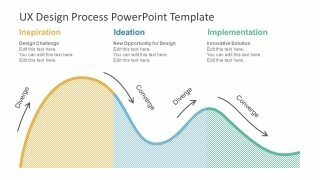 The exclusive UX Design Process PowerPoint Template contains the concept diagrams. 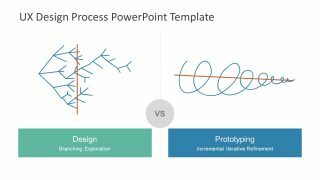 These are the meaningful and practical methods of user experience presentations. 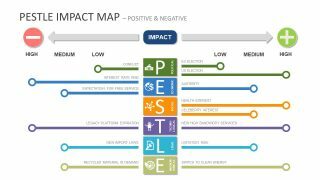 Also, the template has colorful infographic diagram which amazingly goes with latest minimalist trends. These are the customizable diagrams of PowerPoint shapes and clipart icons. 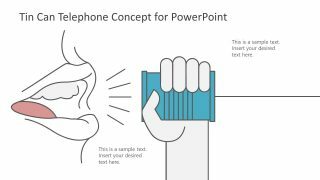 Further, the models demonstrate the advance design versions of existing PowerPoint diagrams. Like chevron circular text cycle, pyramid, process arrows and basic venn. 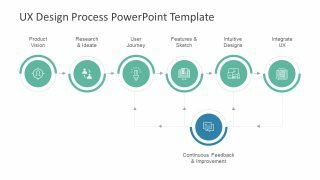 Moreover, the users can select their desire workflow and timeline design template to present business product and service UX design. 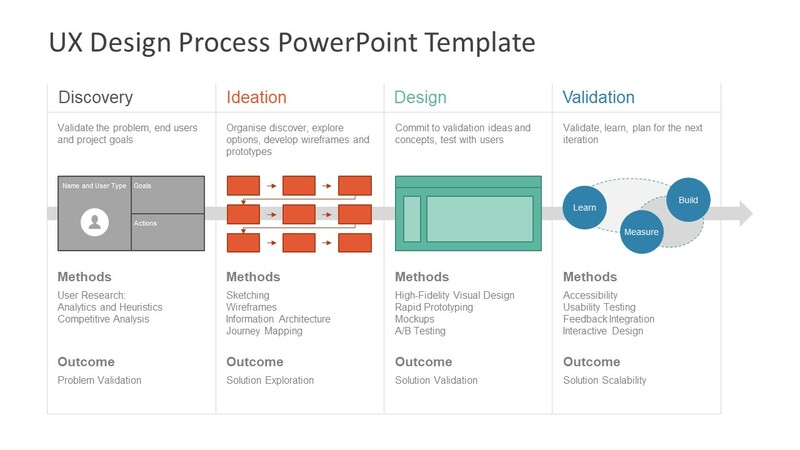 The flat UX design for PowerPoint is the process diagram toolkit for business professionals. Hence, these diagrams aid range of industries to use these models for their business and user experience concepts. 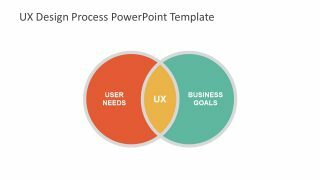 Alternatively to this diagram, you can download other UX PowerPoint templates for presentations on User Experience.